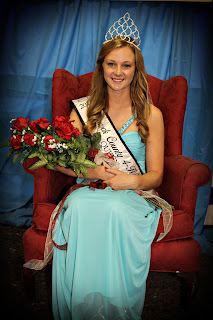 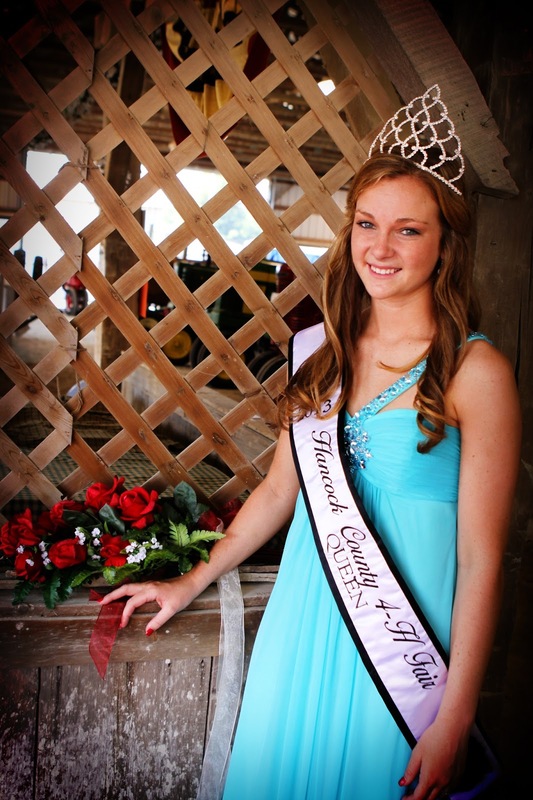 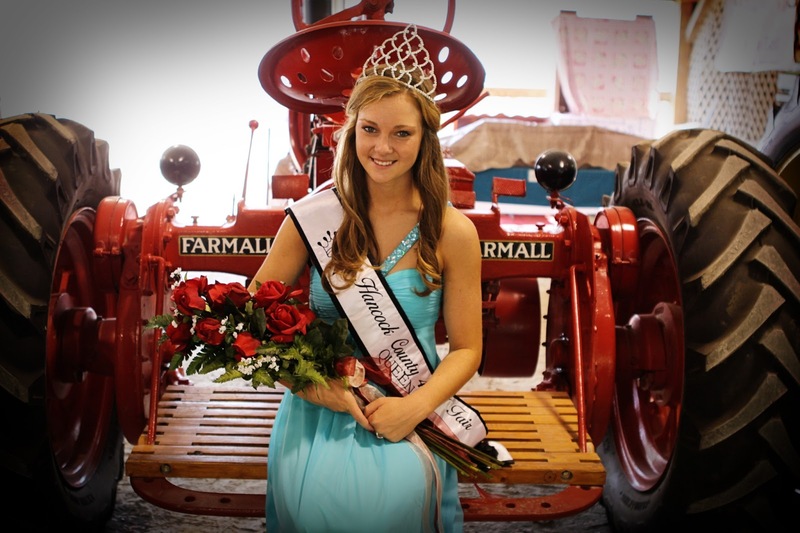 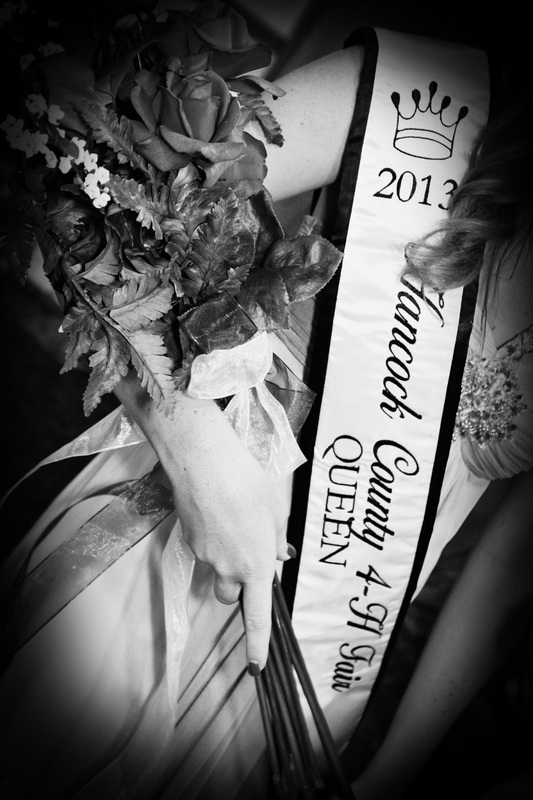 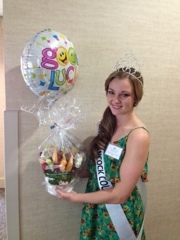 Best wishes to our very own Miss Hancock County, Paige Carroll! 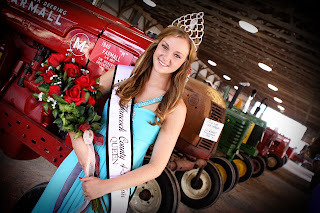 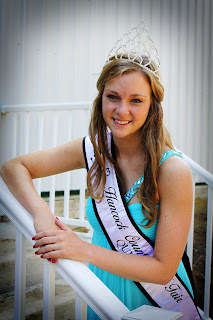 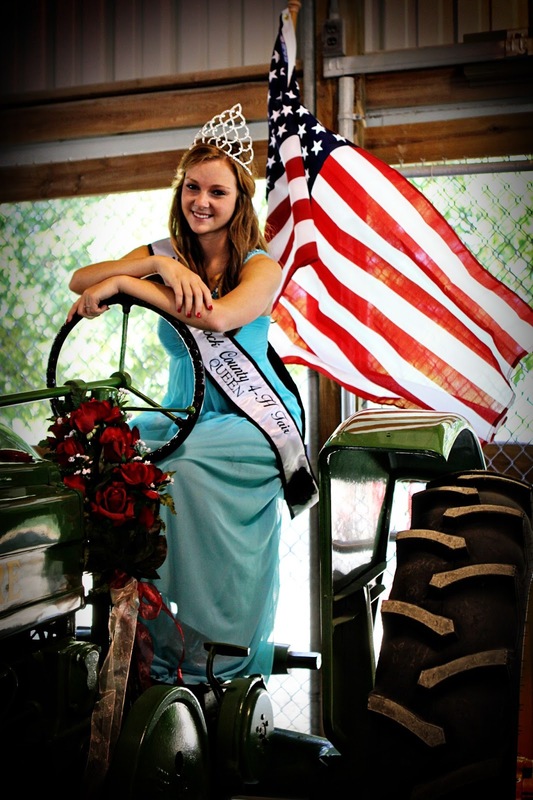 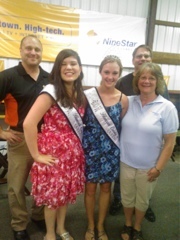 She is competing this weekend for Miss Indiana State Fair. 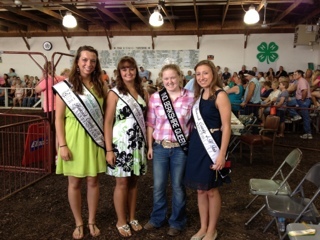 The girls are having a blast getting to know ALL parts of the fair this week. I'm sure by Friday evening they will be ready to rest all weekend. 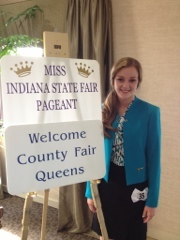 Enjoy a look inside our fair from the view of a Queen's Court member! 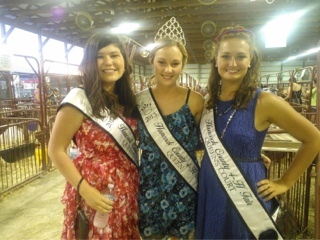 We have had an amazing fair week so fair. 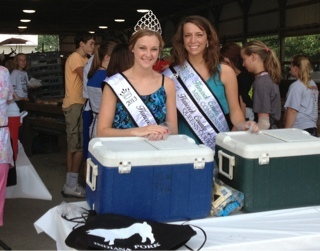 These ladies always have a smile on their face and are willing and ready to do whatever is asked of them. 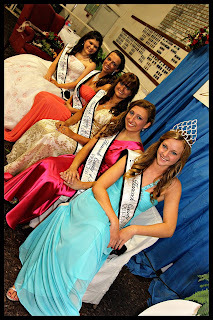 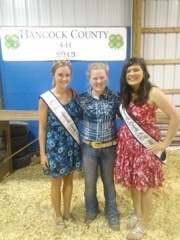 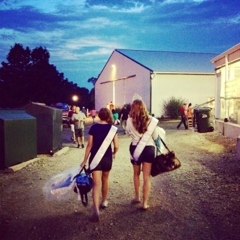 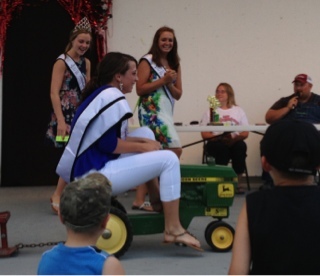 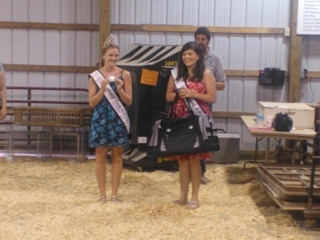 We are so fortunate to have a great group of girls representing the Hancock County 4-H Fair! 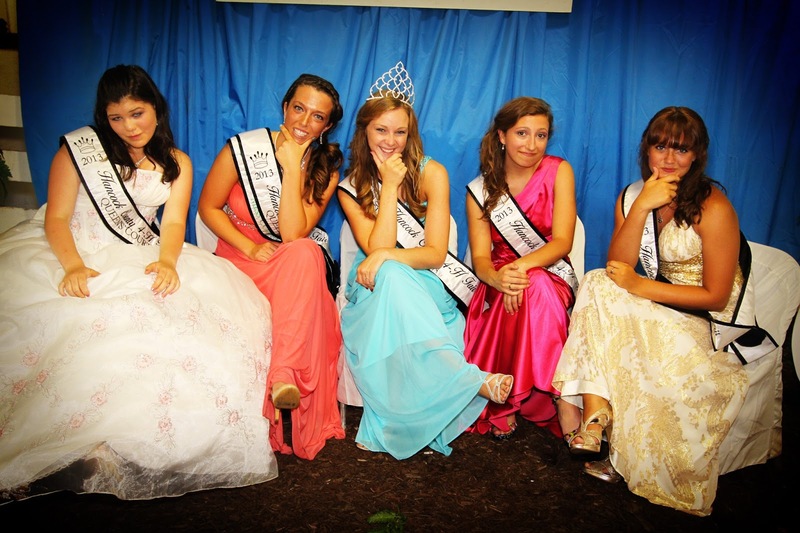 Gaby, Morgan, Paige, Lindsey, and Samantha being silly! 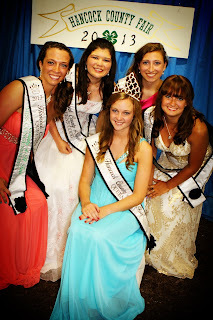 A wonderful group of girls!